Viticulture in Matelica has ancient roots which date back to the Picene era. The approach from Matelica to produce excellent wines is steeped in history and has been witnessed by eminent academics such as Andrea Bacci and Francesco Scacchi. The first historical reference between Verdicchio and Matelica dates back to 1579, where it was referred to as a notarial act compiled by Matelica native Niccolò Attucci, and which defines the most prominent value of the terrain where “Verdicchio” vineyards can be found. The development, ampelogoraphy and improvement of viticultural and oenological knowledge gained from the end of the nineteenth century through to beyond the second world war has seen Verdicchio become one of the major white grape varieties in the Marches region. A quality growing process which has led Matelica’s Verdicchio to gain a significant prize: it is the first white wine from the Marches region to be awarded the DOC (Controlled Designation of Origin – Verdicchio di Matelica DOC in 1967) and to subsequently be awarded the DOCG (Controlled and Guaranteed Designation of Origin – Verdicchio di Matelica Riserva DOCG in 2011). The PROVIMA wine cellar has gained in-depth knowledge of both the terrain and the grapevine over time by identifying the best wine-growing regions in order to maximise the expression of this historic vine. Ten years on, the collaboration between agronomists and oenologists has identified the best vineyards belonging to winegrowers capable of producing extremely rich and complex wines. 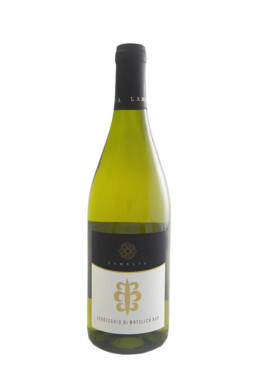 The result of this selection is the LAMELIA branded wine, in which Verdicchio retains a MODERN and ELEGANT style. The Pro.Vi.Ma has been enhancing the Verdicchio variety for over 80 years by studying its viticultural and oenological characteristics, and by successfully identifying and enhancing its strengths. 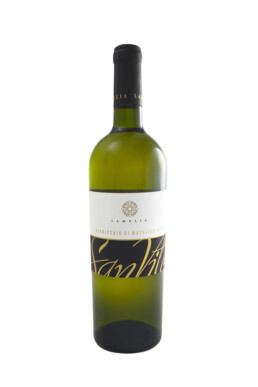 The Verdicchio grape variety is in fact capable of producing wines characterised by a genuinely delicate and elegant aroma with tones of white flowers (linden, acacia), fruit (peach, melon) and aromatic herbs. These wines have a superb texture and amplitude, while they also have a fragrant acidity and minerality thanks to the specific terrain in Matelica. This is all made possible by favouring maximum aromatic maturation of grape varieties while preserving the acidity and freshness at the same time. The vineyards located in the most attractive areas undergo an optimised management program, which includes a more professional approach along with pruning and greening operations. In addition to this, our vineyards are managed in a sustainable manner: integrated pest management to avoid any adverse effects (pesticide restrictions and reproduction confusion techniques), prudent soil management for natural vineyard conservation (vineyard inserts, green manure). The grape varieties are the result of a careful selection and are harvested exclusively by hand. LAMELIA wines originate solely from the fermentation of mulberry seeds once the grape varieties have been pressed gently, and with a very careful and highly restricted extraction of polyphenols from the skin when protection against oxygen is applied. 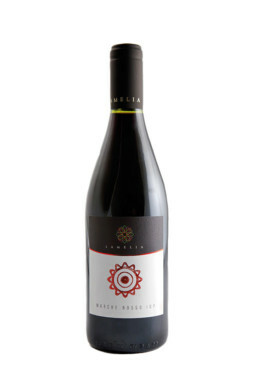 The fermentation process is carried out by selectively controlled and low-temperature yeasts in order to preserve the aromas, and the wine subsequently matures on its fine lees inside stainless steel containers so that it becomes enriched with mannoproteins and gives added greenness and texture. We have a strong desire both to maintain and enhance our knowledge of winemakers who have preserved and improved the Matelica vineyard surroundings for generations. Young growers retaining an ancient viticultural tradition gain a real sense of pride.